Guitarist, songwriter and producer who's worked with notable rock and heavy metal bands such as Channel Zero, Snot and Soulfly. He became the owner of the bar The Roxy Tokyo. He first became known from the band Snot, who formed in 1994. 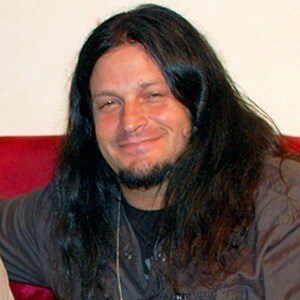 He helped launch the careers of bands such as Gemini Syndrome and Five Finger Death Punch. He was born near Indio, California. He and guitarist Sonny Mayo have both been members of Snot.